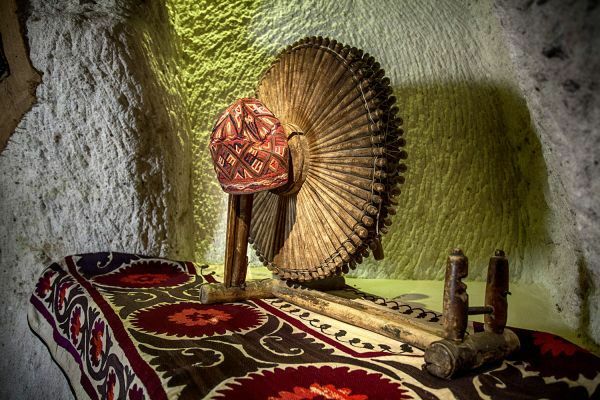 Castle Cave, located right on the edge of the Uçhisar Castle, is one of the most important symbols of the castle and thus why it takes this name. It is believed that this was one of the watch points of the castle back in ancient times. 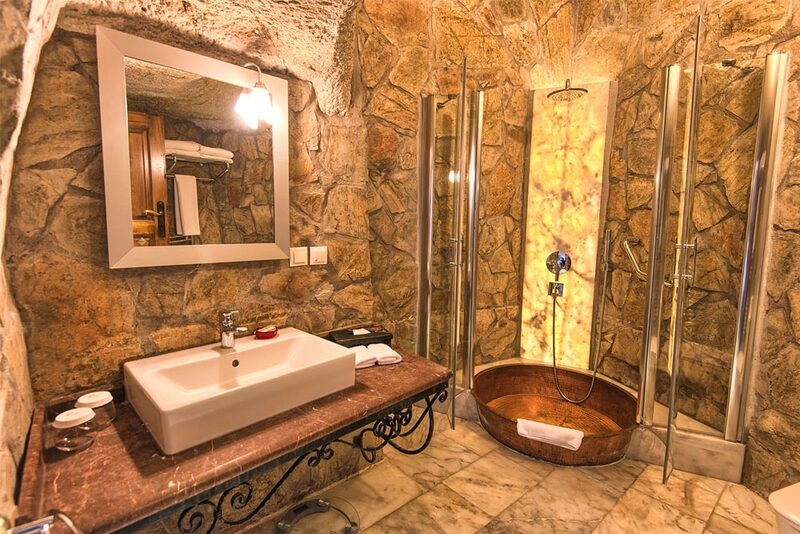 The natural structure of the room has been kept intact. 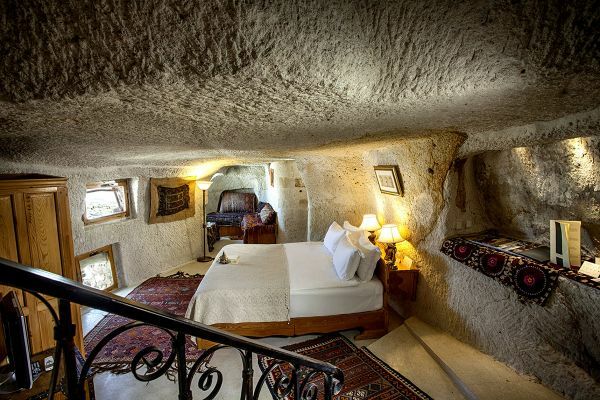 To welcome its guests, it has a perfect view of Cappadocia with a unique angle that gives an incredible view. 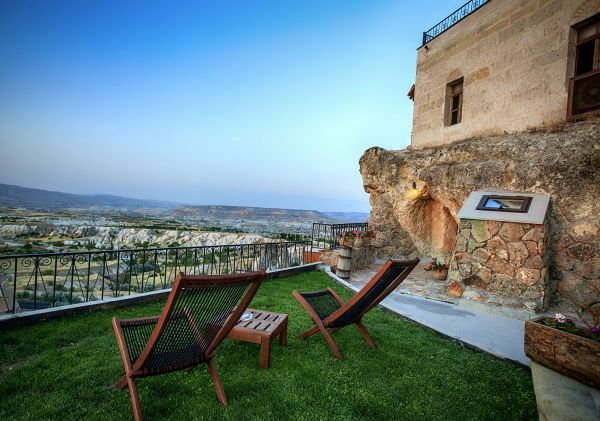 On the chaise longue by the entrance you can enjoy the magnificent Cappadocia sunset.